This comedic roadmovie is about two young 50ers, J. Kessels(Frank Lammers) and Frans (Fedja van Huêt), whose lives revolve mainly around beer and cigarettes. Lot’s of cigarettes. 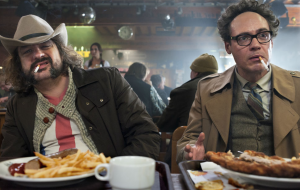 Mistakenly taken for heroes, J. Kessels and Frans are asked to go after an adulterous criminal in Hamburg. Because it was the brother of his bombshell childhood crush who asked, Frans agrees to take on the assignment. Which of course, can only result in a crazy roadtrip filled with hilariously bizarre situations. We’ve had lots of fun casting for this film and look forward to the premier!